Enjoy 1 night on arrival at the Tahiti Ia Ora Beach Resort by Sofitel, 4 nights at the Sofitel Moorea Ia Ora Beach Resort; situated in a lush tropical garden setting bordered by a magnificent white sand beach and 3 nights at the Sofitel Bora Bora Private Island; located on a private island surrounded by a turquoise lagoon and it’s own coral reef. Because of its stunning scenery and heart-shaped formation, it's no wonder so many people fall in love with Moorea! Bora Bora, where perfect white-sand beaches give way to emerald waters and colored fish animate the coral gardens as they greet the giant manta rays. Includes Full Breakfast daily, a Tahitian Black Pearl gift and special Hotel Anniversary Bonuses such as Champagne or Tropical Flowers. International and Inter-Island Airfare round trip and Airport Transfers included. 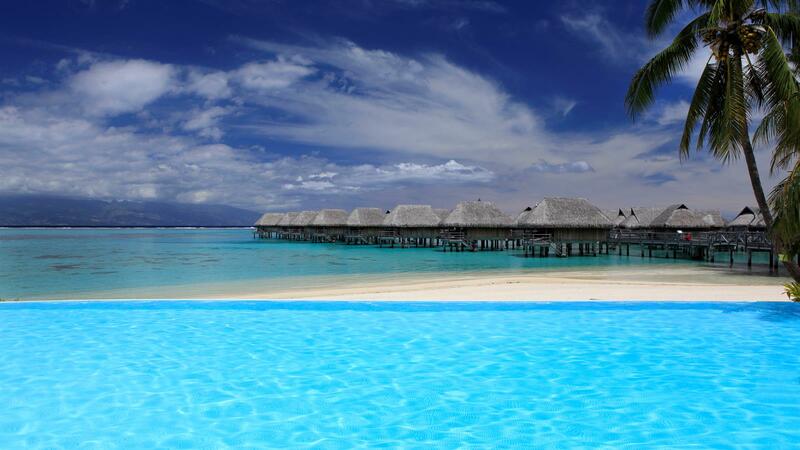 Upgrade to Business Class Air round trip from Los Angeles to Tahiti is available. Please inquire for the additional cost.